Julia Fay is back with a new post. The last time, Julia gave us plenty of insights about the unsustainable practice of overfishing and why it is killing our oceans. This time around it’s all about Tel Aviv, the city she lives in. Being a local she can provide first-hand information about the coolest spots in town and the best places to indulge in delicious vegan food. But above all: What is it that makes Tel Aviv unique and stand out? Well, for one thing, the city boasts more than 400 veggie-friendly restaurants, out of which around 30 are purely vegan. No wonder that Tel Aviv is known as one of the vegan capitals of the world. The latest writeup on HappyCow about the top vegan-friendly cities lists Tel Aviv as number 5. According to an article published in the Independent, Tel Aviv might even be “The plant-based capital of the world”. Julia’s insider tips and thoughts on Tel Aviv will make you understand that this city is not only good at food. It is also sunny, vivid, and diverse – that is, it’s a gorgeous place to live…and to visit. Without further ado, let’s get to Julia’s answers. How long have you been living in Tel Aviv? It’s called “the city that never sleeps” and it is true! It’s a diverse city that has huge vegan and LGBT populations. If Tel Aviv were a person, what would be its main characteristic? How do people react when you tell them you’re from Tel Aviv? Depends where they are from. A stroll along the “tayelet” – the boardwalk along the Mediterranean. In other parts of the country, many call Tel Aviv “the bubble”, assuming that it is insulated and not suffering from problems that other places might have. It’s not totally true; one shouldn’t generalize! But Tel Avivians do enjoy their fun. Avoid overly general questions like “What’s it like living here?” but on the other hand many enjoy talking about politics and any topic of the day. What should people pack for Tel Aviv? Anything visitors need to know to be prepared? In summer it is very hot and humid. The best months are October, November, April, and May. The winters are mild. It can be rainy but it never snows in Tel Aviv. In summer bring a sunhat, sun lotion, comfortable shoes, and a bathing suit. What’s your favorite spot in Tel Aviv? Why? The Neve Tzedek neighborhood – it’s charming and fun to wander around there, and it is also close to the sea. And also Jaffa has an “old city” and a flea market and also port area – all are fun to explore, the “Tayelet“, and the Tel Aviv Museum of Art. I also love the Israel Philharmonic and the Israel Opera. My favorite is Meshek Barzilay (100% vegan) in the picturesque Neve Tzedek neighborhood. What’s the best spot for having breakfast? And for dinner? For breakfast, try Anastasia Café. For dinner, try Meshek Barzilay or Zakaim. I also recommend a couple of other places as well: for a charming breakfast, brunch, or lunch, try Tola’at Sfarim on Mazeh Street which also has a lovely bookstore attached. I also greatly recommend Tenat, an all-vegan Ethiopian restaurant in south Tel Aviv. There are nice places on the “tayelet”. 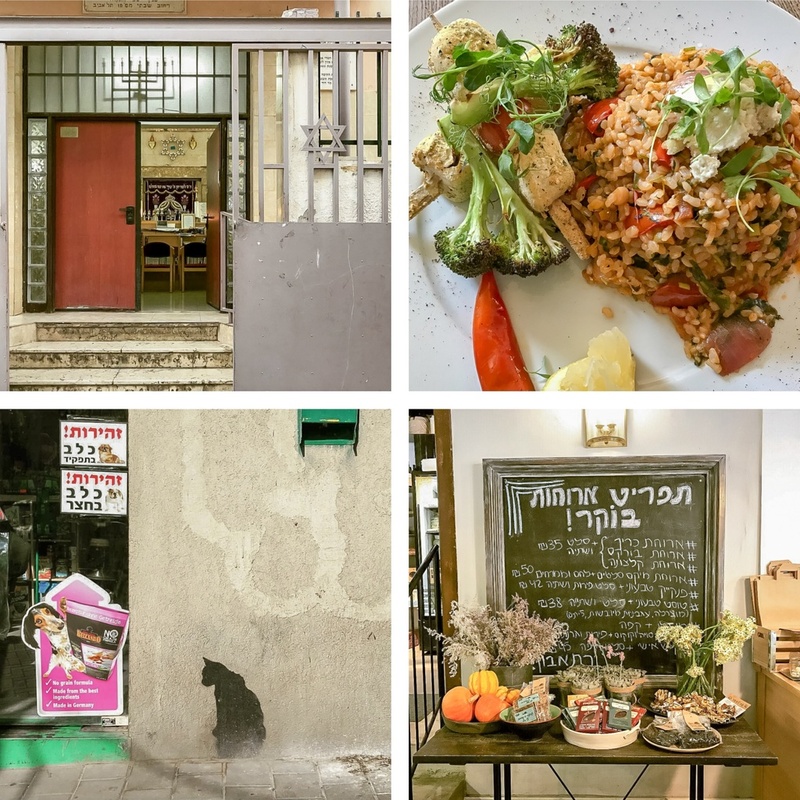 Check out all-vegan Meshek Barzilay Deli, right next door to the Meshek Barzilay restaurant in the Neve Tzedek neighborhood. The deli has organic produce, vegan hot and cold dishes for take-out or eating on premise, vegan cheese, bread, wine, coffee and cake, a juice bar, and more. Can you recommend a beautiful (eco-friendly) accommodation? 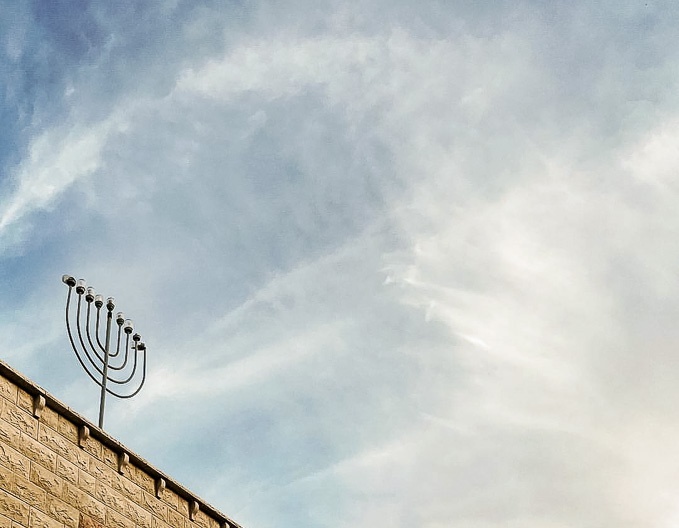 There’s a place called “Mini-Israel” that is overrated and overpriced. It’s located about half-way between Tel Aviv and Jerusalem. If you are looking for what’s happening, check out Time Out Israel, which includes what’s going on in Tel Aviv. Use HappyCow (the site and the app) to find dozens of vegan and vegan-friendly restaurants. You can get good books about the wonderful Bauhaus architecture in Tel Aviv at the Bauhaus Center on Dizengoff Street. There are loads of cafes and restaurants today that have at least one or two vegan options, even if they seem like they are meat restaurants. I’d take away the summer humidity. What makes a nice gift from Tel Aviv for those who had to stay at home? For cool gifts, visit Sheinkin Street, or check out the many shops on Allenby, or the arts and crafts fair on Tuesday and Friday at Nachalat Binyamin. 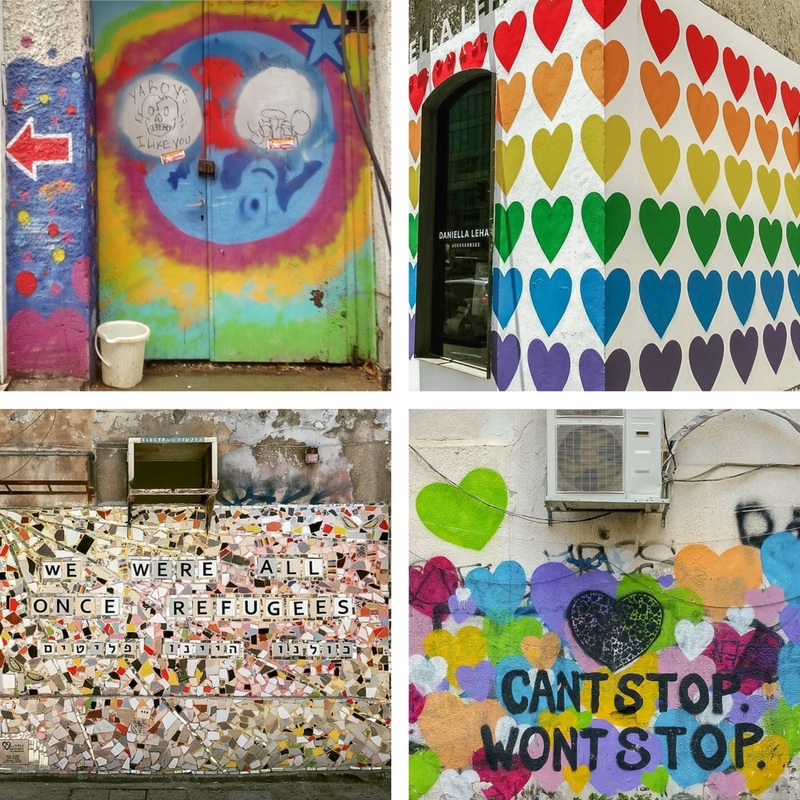 What’s there to see and visit in the areas around Tel Aviv? When visiting Israel, one mustn’t miss Jerusalem, an hour away. 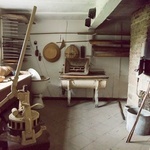 I recommend taking one of the Bauhaus tours from the Bauhaus Center. Tel Aviv has one of the highest number of Bauhaus buildings in the world! At Meshek Barzilay, the Philharmonic, or the Israel Opera. Thanks again to Julia for freely sharing with us her insider tips. A big thank you also to her for the gorgeous pictures in this article. If you want to see more of Julia’s photographs, you can follow her on Instagram at Joooolya (Tel Aviv architecture) and nutritarian_tlv (Tel Aviv food). If you want to find out even more about Tel Aviv, I can recommend the Vegan Guide to Tel Aviv by The Tasty K, and the German article Vegan in Israel by “V”eltenbummler.